We wanted to share with you the latest news on the Fall 2016 Meeting coming up next month in Mena, Arkansas, and tell you that the Fall 2016 Claytonia newsletter is now available for downloading! The fall 2016 Claytonia newsletter has been published and the mailed copies will go out around August 8 or 9. Click here to download and read the Fall 2016 Claytonia. Click here for all the details on the Fall 2016 Meeting in Mena, Arkansas, to be held September 23-25. Everybody is welcome to attend! Meeting registration is only $5 with no pre-registration required. Registration will begin at 5:00PM on Friday, September 23d. Directions from Hot Springs to hotel (about 1 1/2 hours). Directions from Russellville to hotel (about 2 hours). Twenty-five rooms (15 double queens and 10 kings) have been reserved at the reduced rate of $84.55 plus tax per night. Reservations must be received by August 23, 2016 to guarantee the reduced rate. 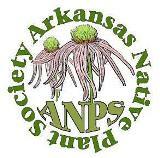 Be sure to mention that you are with the Arkansas Native Plant Society when making your reservation. Saturday 7:00PM – Dr. Travis Marsico – Associate botany professor and curator of the Arkansas State University Herbarium will give a presentation on the digitization of Arkansas herbaria and how ANPS members can help. Saturday 7:45 – Dwayne Estes – Associate professor at Austin Peay State University (APSU), curator of APSU Herbarium, and Botanical Explorer with Botanical Research Institute of Texas (BRIT) will speak on the fascinating similarities between the vegetation in the Ouachita Mountains and the Cumberland Plateau of Tennessee. For complete and up-to-date details, go to http://www.anps.org or contact Virginia McDaniel, virginiamcd31@yahoo.com, (828) 545-2062.